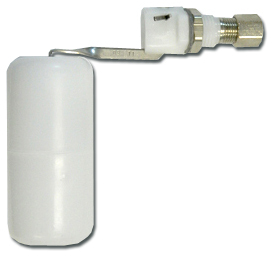 AMI Float Valves for Home RO Systems, Tank Level Control Valves | Applied Membranes Inc.
AMI float valves serve as level controls to automatically stop the stream of water into the tank or reservoir when the water level reaches a specified level. When the water level reaches the float, the buoyancy of the float elevates the arm, bringing the valve into the closed position. 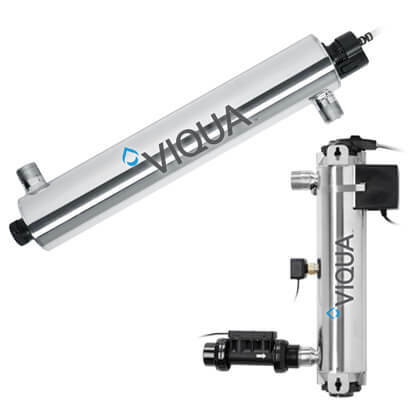 When used in conjunction with a diaphragm style automatic shut-off valve (sold separately), the back pressure created by closing the tank valve will trigger the diaphragm shut-off valve to turn off the water feed to the system. When water is used and the level drops, valve will open, disengaging the shut off valve, allowing feed water to the RO system to resume until the tank is refilled. 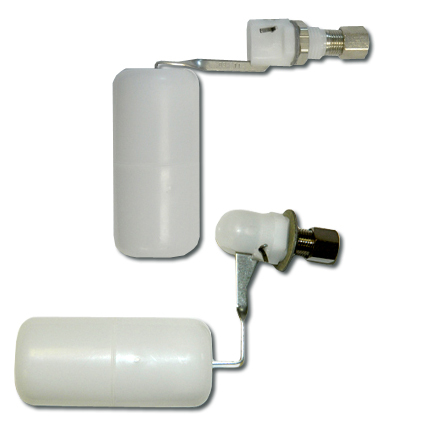 For use with atmospheric (non-pressurized) storage tanks or other reservoir. 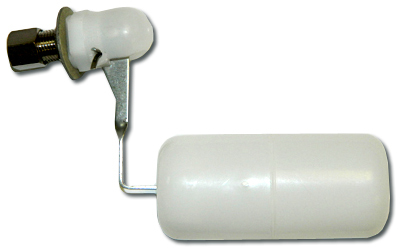 Installed by drilling a hole into the side of the reservoir slightly above the desired shut-off level and attaching the valve to the interior of a tank with the included nut.